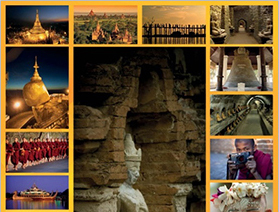 There are over 500 Hotels, Resorts, Motels, Guesthouse and Inns in Myanmar. Myanmar Shalom virtually works with all of them! Deciding where to stay can be an overwhelming process! We have put together a collection of some of our favorite hotels, ranging from boutique guesthouses to eco lodges as well as comfortable classic hotels to help with your decision. If you are interested in any other hotel not listed on our website, please feel free to tell us your desired hotel and we assure you that we will get you the best rate for your desired hotel.